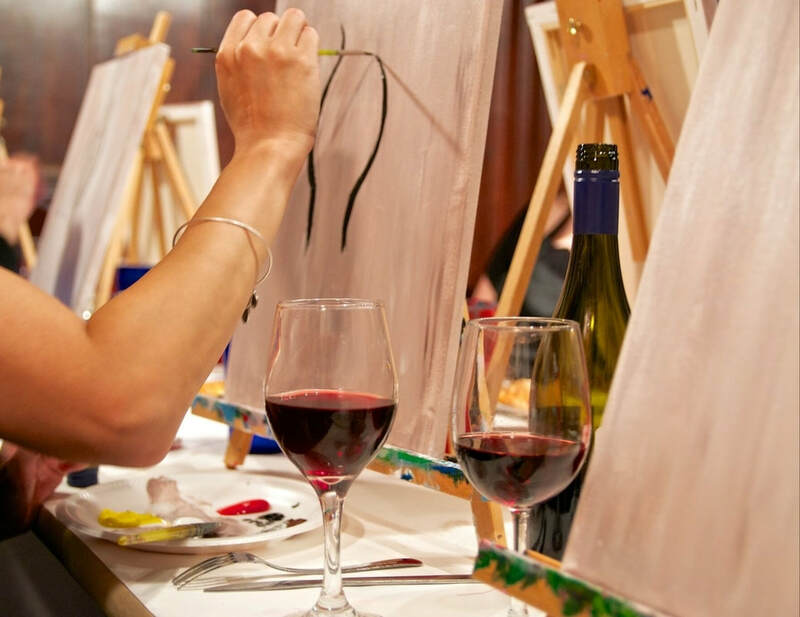 Uncork and Color proudly offers social art classes in a cool atmosphere where guests can enjoy local food and beverages while being instructed step-by-step on how to create wall-worthy pieces! Uncork and Color is completely mobile! Instead of having a studio, we enjoy bringing the paint classes to restaurants, breweries and coffee shops in and around the Northern Virginia area. We hope to spread the enjoyment of art and giving people the opportunity to visit a new local place! ​All materials including paint, brushes, canvas and aprons are waiting for you! Since we're not a franchise, all paintings are original, one-of-a-kind works of art. The friendly, supportive staff makes the experience enjoyable--ESPECIALLY for those with no artistic experience. Whether you are looking for a night out with your friends, a date night, or a team event, we got you covered for a great experience! Turn your space into a studio! Host a paint party!